Treehouse TV has been a staple in our home since before oldest, who is now 9, could crawl. With shows that have been around that have helped teach my older two kids manners, how to share and be kind to one another, it's no wonder that nine years later, with my seven month old, I can still count on Treehouse. My seven month old has now become amazed by shows that we put on our TV these last couple of months. 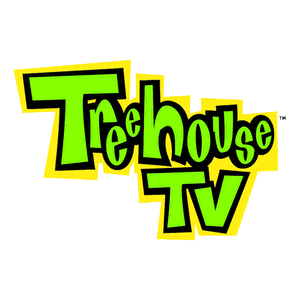 Treehouse is on our television daily. Her favorite show that she laughs and crawls to when it comes on right now is Toopy and Binoo. It doesn't surprise me one bit. My oldest two kids loved this show when they were younger and will still gladly watch it if it's on when they get home from school. 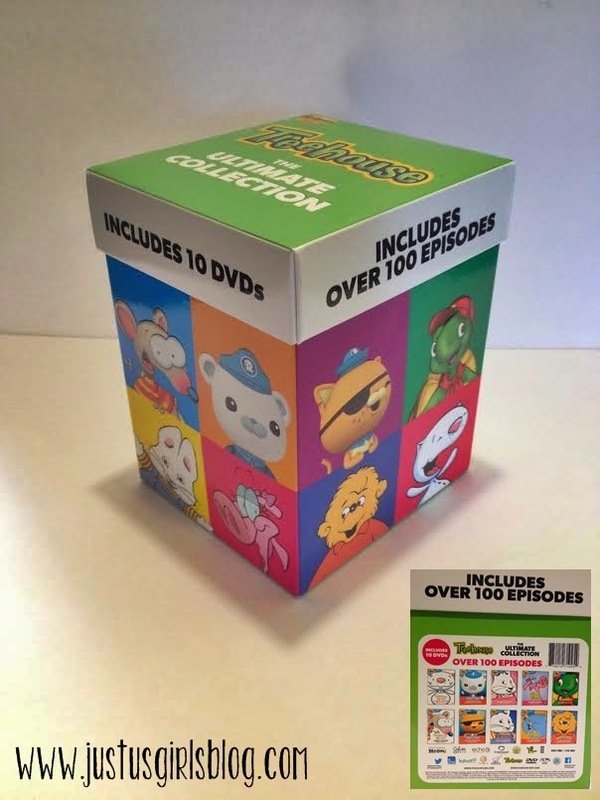 So when we were sent the Treehouse Ultimate Collection Cube that included ten of my kid's favorite Treehouse shows, my family and I were thrilled. This collection includes over 100 of the best Treehouse episodes that your little one already wants to watch over and over again that include their favorite characters, like, Toopy, Binoo, Franklin, Max, Ruby, Brother Bear, Captain Barnacles, Kwazii, Golias and Nessa. I was surprised to see how much my older two wanted to watch the shows when we got the cube out. I can honestly say Toopy and Binoo and My Big Big Friend has been played numerous times. I have their theme songs stuck in my head and I don't mind at all. With Easter around the corner the Treehouse Ultimate Collection Cube is a great gift to give your family. Along with Zack & Quack: Popping Hopping Easter, these DVD's would make a perfect gift. We were also sent Zack & Quack on DVD as well and since it's been March break in our house, this DVD has been played a few times as well. The Zack & Quack DVD comes with five episodes. The series follows the adventures of a dynamic boy named Zack & his best friend, an impulsive young duck, called Quack. They live inside the most amazing pop-up book ever! It's a place full of fantastical surprises where pulling pop-ups makes exciting and unexpected things happen. I absolutely love that all three of my kids, with their age gaps, can sit and watch shows together. 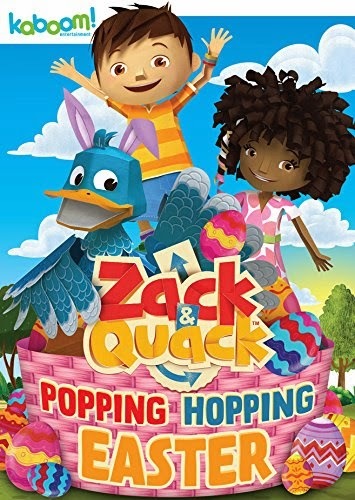 So gather around the TV this Easter and enjoy a 10 hour Treehouse marathon with the kiddos and while you're at it, pop in the Zack & Quack Popping Hopping Easter as well. Both the Treehouse Collection and Zack & Quack DVDs are now out in stores for purchase. For more information on these DVDs and others like them be sure to check out Kaboom Entertainment on Facebook and Twitter. Disclosure: All opinions are my own. I received both the Treehouse Ultimate Collection and Zack & Quack on DVD at no cost for the purpose of this review. No other compensation was received.